The vulnerability of populations in fragile states to weather and climate variability is typically much higher than in other countries. These countries, and their populations, face a higher exposure to climate change as a result of their geography. 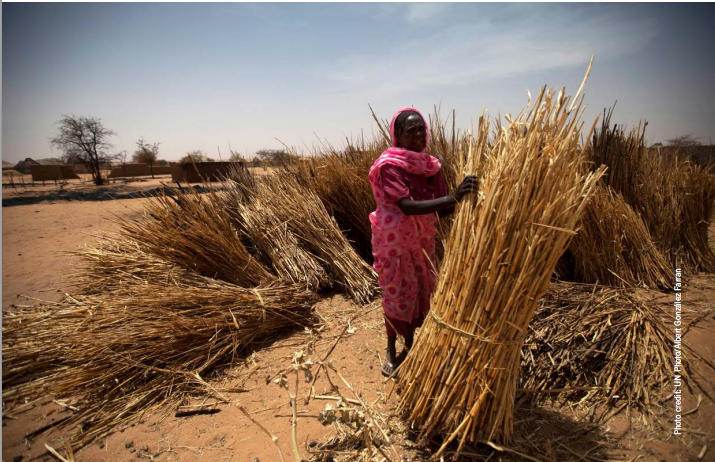 They are also over-reliant on climate-dependent sectors of the economy, particularly rain-fed agriculture, and their histories of violence, poverty and weak governance serve to undermine resilience and capacities to respond to climate risks. As such, climate change poses a significant challenge to the transition of fragile states toward peace and stability. 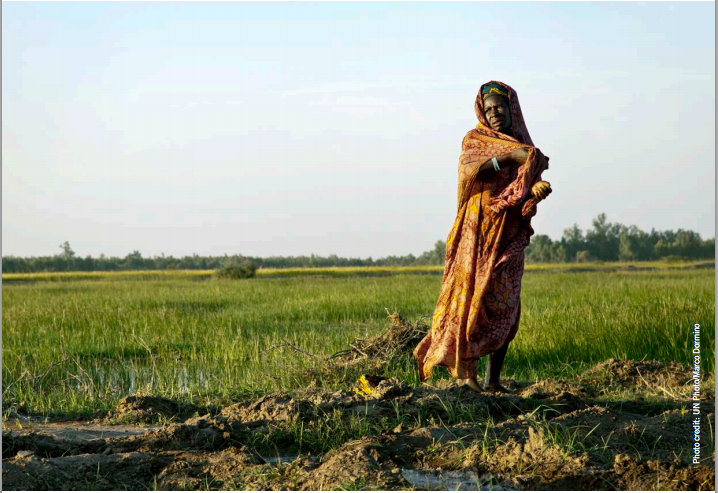 In order to address and reduce the risk that climate change and variability may pose to a fragile state’s population and to peacebuilding progress, policy- makers and peacebuilding practitioners must be able to access, understand and use information on the local, national and global climate. However, it is within these fragile contexts that climate information is often the weakest, if it exists at all. This report provides peacebuilding practitioners with guidance for accessing and using climate data and information in fragile contexts. It describes some of the challenges to generating, accessing and understanding climate information in contexts of state fragility. It introduces the types of climate information relevant to national and international peacebuilding practitioners operating in fragile contexts and provides a review of relevant and accessible climate data. The report addresses how climate information can be effectively used in a peacebuilding context, and highlights some of the immediate priorities and sequencing needs for fragile states attempting to rebuild their national capacities to generate climate information. 1. Historical information: Data on past conditions and trends can be used for mapping hazards, assessing trends, identifying relationships with historical impacts (such as disease outbreaks and food insecurity), and providing a reference against which to compare current and anticipated conditions. Historical data can also be used for identifying the seasonality of climate, which can, for example, be important information for understanding the monthly distribution shifts of disease-carrying vectors, or identifying likely cropping cycles. 2. Current information: Data on current and recent conditions can be useful for indicating whether potentially impactful weather and climate events, such as severe storms, have recently occurred, or are under way, such as droughts. 3. Prospective information: Forecasts, projections, and scenarios are useful for anticipating climate hazards, for planning humanitarian operations, and for longer-term recovery and development planning. Inevitably, the proper use of such information is fraught with difficulties in fragile states, because of disruptions to the network of observations and operational climate services, as well as the lack of human resources in these contexts to generate and understand such information. But even in fragile states, climate information can be of value if its limitations are known and made explicit and climate-sensitive decisions are addressed appropriately. Table 1 from report (p. 2). Number of reporting weather stations for fragile states. Most fragile states do not have continuous reporting over the most recent 30-year period. In fragile states, the greatest challenges will be to access climate information from the National Meteorology Services. Weather stations are often damaged during conflict or non- existent due to weak governance and investment; human resources and research capacities are depleted due to the breakdown of institutions and violence; and investments from outside are minimal due to high risks. Some climatic and environmental information can be accessed through remotely sensed products and international agencies, but the challenge will remain on how to access reliable data generated in- country. Rebuilding a fragile state’s NMS, including its network of weather stations, is crucial to supporting development, disaster risk management and early warning systems. There is a need for donors, international aid agencies and national peacebuilding and development organizations to work with the NMS office to rebuild the climate station network, to gather and restore what historical data is available, and to invest in capacity building to ensure that the technical skills required to generate, understand and use climate data are in place. In Haiti, a number of technical staff perished in the 2010 earthquake, the NMS offices were destroyed, and the already limited number of weather stations prior to the earthquake were extensively damaged. After years of instability and then the earthquake, the WMO identified climate data priorities as: the need to replace technical capacities at the NMS; the provision of a safe work environment for the NMS; and strengthening the NMS’s observation, forecasting and information dissemination capacities (WMO, 2010). 1. Site selection: Using extensive knowledge of observation networks and WMO guidelines, identify the most appropriate sites of climate stations and agree on how these sites can be best prepared for weather and climate monitoring. 2. System design and procurement: The stations will then have to be designed for the local context and procured. Automatic weather stations are ideal. 3. Training: A comprehensive capacity-building program will have to be offered to the technical staff of the NMS in the operation and maintenance of the new station network. 4. Installation: For Sierra Leone, this involved the initial installation of new stations as part of the training program, followed by the supervised installation of new stations by national government staff. Once the country has restored its ability to generate and analyze weather and climate data, this information will have to be disseminated to the public so that it can be integrated into planning and decision-making processes. Increasingly, this is done online, which will require the design and support of a user-friendly website capable of hosting the information. There may also be a need to digitize historical information, should it exist, to ensure that historical information is accessible to a broad audience. Online efforts should be complemented with hard copies of climate information, accessible at the NMS office for those unable to access the data online. Understanding and interpreting data and information on climate change is not typically within the remit of peacebuilding practitioners working in contexts of state fragility. For them, immediate humanitarian needs often understandably trump concerns about long-term environmental change. There is an increasing need, however, for these practitioners to integrate climate risks and considerations into their work; extreme weather events are becoming more frequent in many parts of the globe, while decisions made in the peacebuilding phase— decisions pertaining to the access to, control of, and use of climate-related resources like freshwater, productive land, and forests—can have both immediate and long-term impacts on livelihoods and well-being. Integrating climate risks and considerations into peacebuilding decisions, approaches, programs and projects can greatly increase their chances of long-term, sustainable success. But to do so requires an understanding of how the local and national climate is changing, and this understanding must be built upon consistent, high-quality climate data. Unfortunately for many practitioners operating in fragile states, such data are often not readily available. In many of these countries, weather stations have been damaged during conflict or have ceased to function. National meteorological services can be understaffed or non-operational. When local data exist, they are often inaccessible or inconsistent. In addition, peacebuilding practitioners themselves are often not trained to interpret and use climate data; even when climate data are accessible to a fragile state audience, practitioners may not know how to usefully integrate them into their decision-making processes. In the absence of a functioning national meteorological service and a corresponding dearth of locally generated climate data, there are considerable challenges to integrating climate information into decision making. But it is not impossible: a range of potentially useful climate information is available from a variety of sources. Integrating this information into peacebuilding programming can help practitioners operating in fragile states ensure that their interventions are successful and sustainable. Practitioners are advised to work with climate experts when possible on the use and interpretation of data; there are no simple rules to facilitate the proper interpretation of the climate data. Mason, S., Kruczkiewicz, A., Ceccato, P. and Crawford, A. 2015. 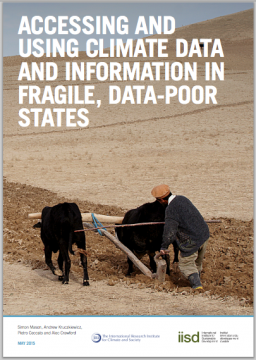 Accessing and using climate data and information in fragile, data-poor states.The International Institute for Sustainable Development. Written by Simon Mason, Andrew Kruczkiewicz, Pietro Ceccato (The International Research Institute for Climate and Society (IRI), The Earth Institute, Columbia University) and Alec Crawford (IISD) with the generous support of the Government of Denmark. This paper does not reflect the views or positions of the government of Denmark. Climate change – and adaptation to it – will occur in a globalized, hyper-connected world. AfriCAN Climate is a project co-funded by the European Commission within the 7th FRAMEWORK PROGRAMME. The project was set up by a team of 5 African and 5 European organisations.